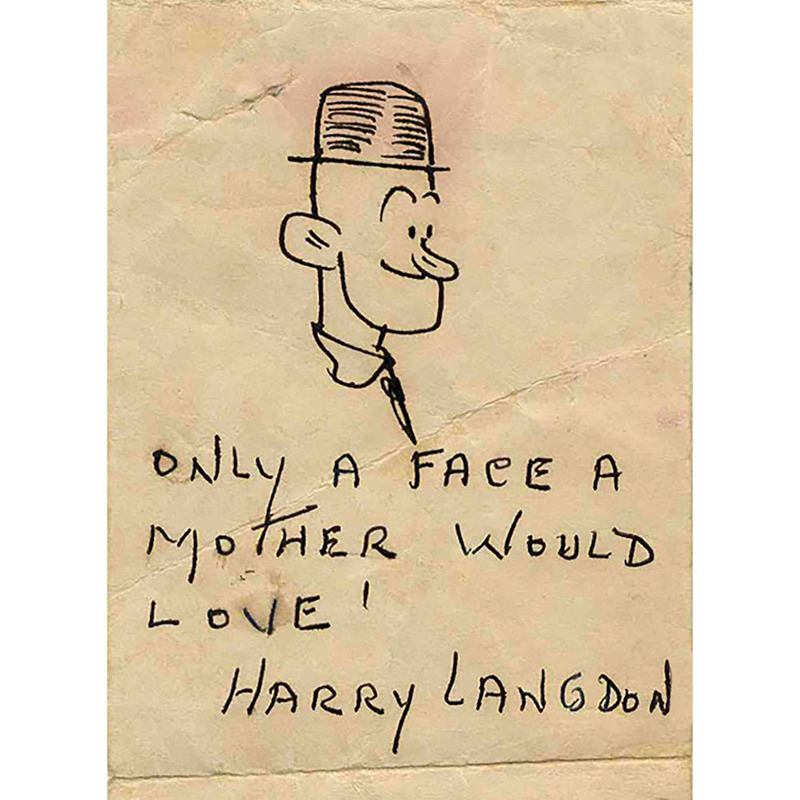 I drew a sketch...and Stan Laurel, who was a little intoxicated, grabbed it and said, “Let me autograph it, Jim”—then he put Harry Langdon’s name on it. He thought it was a great joke, and laughed and laughed. You do hereby agree to lend to us, and we agree to borrow from you, the services of said STAN LAUREL and OLIVER HARDY, in connection with one (1) additional motion picture production to be produced by us upon the same terms and conditions as pertained to the first motion picture heretofore produced by us during the original term of the aforesaid contract between us, dated May 29, 1941, including the compensation payable to you for the services of said Stan Laurel and 0liver Hardy in connection with the first motion picture produced under the terms and conditions of said contract, and the entire contract between us aforesaid shall be read and construed as if said contract had originally contemplated the lending to us of the services of said Stan Laurel and Oliver Hardy in connection with two (2) motion picture productions. It is understood and agreed that the services of said Stan Laurel and Oliver Hardy shall commence upon a date to be hereafter designated by us, on or before March 16, 1942, and you do hereby warrant and agree to cause said Stan Laurel and Oliver Hardy to report to our studio, located at Beverly Hills, California, to commence the rendition of their services for us in connection with said motion picture production on the date so designated by us. It is further mutually understood and agreed that Article Fourth of said contract shall be and the same is hereby deemed amended to provide that in order for us to exercise the option granted to us under the terms and conditions of Subdivision (a) of Article Third of said contract, we shall notify you of the exercise thereof, in writing, on or before thirty (30) days from and after the general release in the United States of the second and additional motion picture now to be produced under the terms and conditions of said contract, dated May 29, 1941, as hereby amended. You do hereby warrant and agree that you will not permit nor cause the services of said Stan Laurel and Oliver Hardy to be rendered for any other producer of motion pictures, other than Twentieth Century-Fox Film Corporation, prior to the completion of the second additional motion picture production hereinbefore provided for. All the other terms and conditions of said contract between us, dated May 29, 1941, shall be deemed to remain in full force and effect except as herein specifically modified. If the foregoing is in accordance with your understanding of our agreement, will you kindly procure the execution hereof by the proper officers of your corporation, by affixing your signature under the word "Accepted" at the end of the six (6) copies enclosed herewith and returning the same to us, at which time we wi11 have them executed by this corporation and return to you two (2) for your files. I wish you would let me know where I can get a copy of the print you have hanging in the lounge of the British Fleet. I got such a thrill looking at it and; would love to have one for my Bar room—am so proud of them I can’t see straight! Thanks so much for your sweet letter and the snaps - so pleased to hear from you - think the pictures were cute, especially you - Too bad not clearer, but happy to have them anyway. 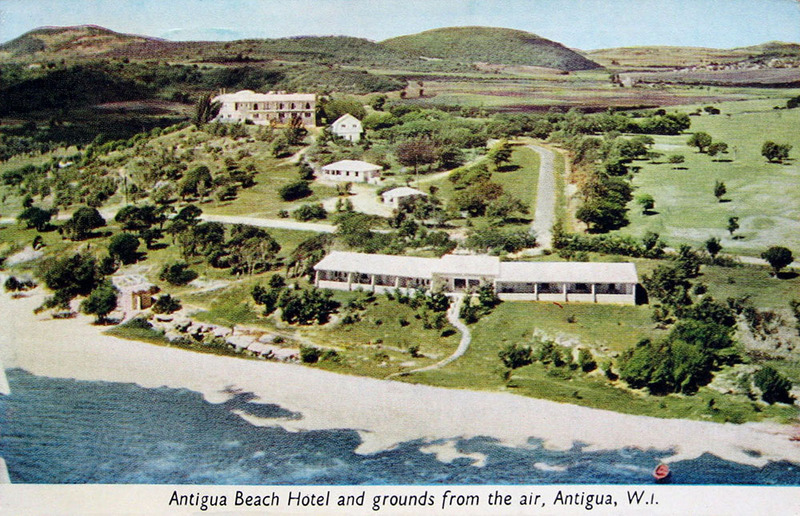 I too was sorry we didn't return to Antigua & your lovely Hotel as I really enjoyed our short visit there - your Dad - Mother & self were so perfectly charming & did so much to make us all comfy. I will send the hat for you in a couple of days & am getting you a copy of "Jervis Bay" also. I already sent you a couple of Photos which I thought you might like to have. By the way Dear, I wish you would let me know where I can get a copy of the print you have hanging in the lounge of the British Fleet - I got such a thrill looking at it & would love to have one for my Bar room - am so proud of them I can't see straight! Got home last Monday the 17th & busy getting ready to make another picture also another Divorce which I hope will be my last. Well Dear - will close now, hope to have the pleasure of hearing from you again real soon. HMS Jervis Bay was a British liner later converted into an Armed Merchant Cruiser. Launched in 1922, it was sunk on November 5, 1940 by a German battleship. 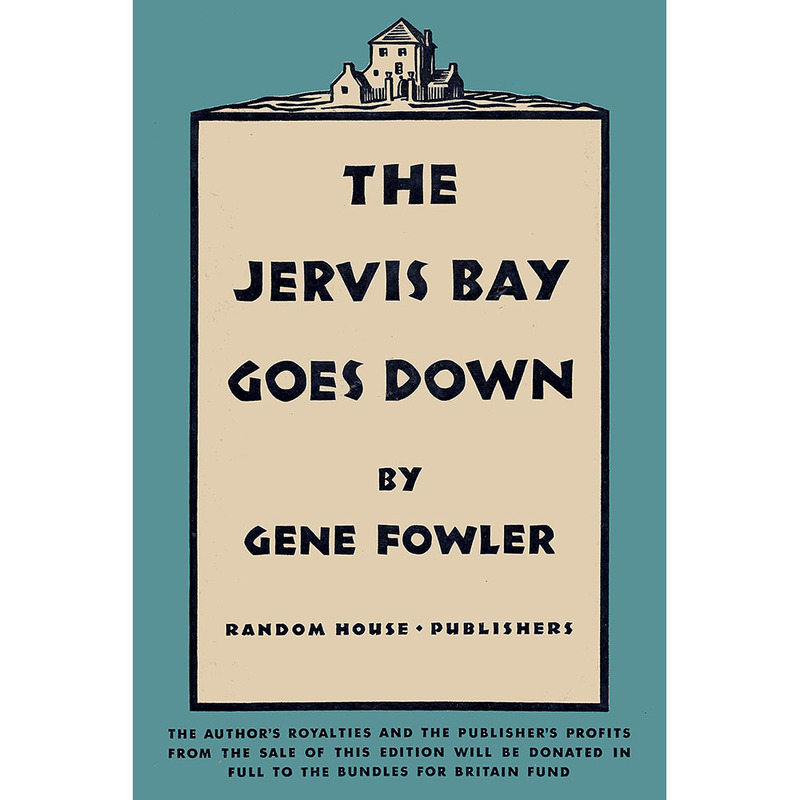 That sinking was immortalized in a poem by Gene Fowler (1890-1960), first read on a radio broadcast (“America Calling”) on February 8, 1941 and later published in a book, with proceeds donated to the “Bundles for Britain” Fund. Thanks for yours - Sorry I wasn't home when you called. Glad you liked the Photos - I too thought they turned out swell. Glad to know you are back in Victorville - sincerely hope & trust you will make a real go of it this time - you are deserving of it Betty - you have certainly tried - & its come to you. Got the cow skin back & its swell, thanks a lot Dear. Had quite a thrilling trip to So. America - will tell you all about it when I see you. Can you imagine me flying 70 hours in the air in two weeks - can't believe it myself - you know how much I like planes!!!! We expect to go East next month for about 8 weeks personals & back for a picture in March. - hope to see you before I leave again. Thanks so much for the Post Card of the pretty Hotel, which I will add to my happy memories collection. Hope you recd. the Photos also the hat. Still trying to get the copy of "Jervis Bay" for you. We are leaving here again soon for more personal appearances - open Dec. 31st. Fort Wayne Ind - then Milwaukee - Chicago, etc. & return in March to make a picture (20th Century Fox) In going through my suitcase I came across the encl. Bills, can't you use them in Antigua? If so, please do - Buy more chocolates or something. Am also enclosing you a little song Book of Parodies that was sent to me, thought you may enjoy it & get a few laughs. The Author is a very good friend of mine, If there is anything I can do for you also your Dad & Mother from this side - please don't hesitate to ask - it will be my pleasure. P.S. - a last minute thought - enclosing a photo of me taken in England a few years ago. Hope you get a laugh out of it - I do!! Stan Laurel and Oliver Hardy will arrive in Miami tonight after completing an entertainment tour of defense bases in the Caribbean. The comedians will leave for the Coast tomorrow to begin work on “Pitfalls of a Big City,” which Sol Wurtzel will produce for Twentieth Century-Fox.